I will usually eat the same thing for a week or two and then I need to switch to something new. Not too long ago I was on a sandwich kick that I was dangerously close to becoming addicted to because I loved the combination that came together. I wouldn’t call this a recipe really, more so an idea to share. When I first heard about the deli flats, the idea didn’t really appeal to me. I gave them a shot anyway and I’m a big fan now. 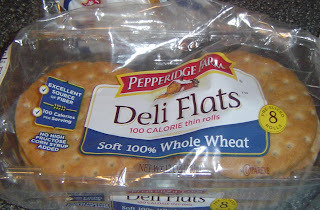 I think they hold up better than regular bread does as far as a sandwich goes. I chose to use a sun dried tomato hummus but you can use any kind you want. 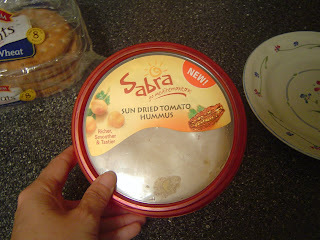 I have been wanting to try and make my own hummus at home, but have yet to experiment with it. I used Sabra, because I find their hummus has a nice smooth and creamy texture. 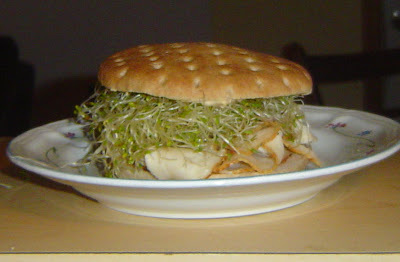 Thoughts: This is such a good little sandwich that I almost forget that it’s healthy! 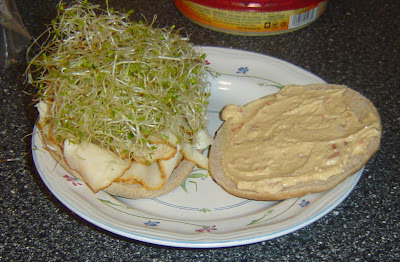 First off, I love sprouts and will choose them on my sandwich over lettuce any day. I think regular hummus would have been fine, but the sun dried tomato flavor of the hummus was a perfect addition this sandwich adding that extra layer of flavor that sort of sends your mouth into tasty bliss. heehee, I am so glad that there is another one out there that is addicted to ice cream! 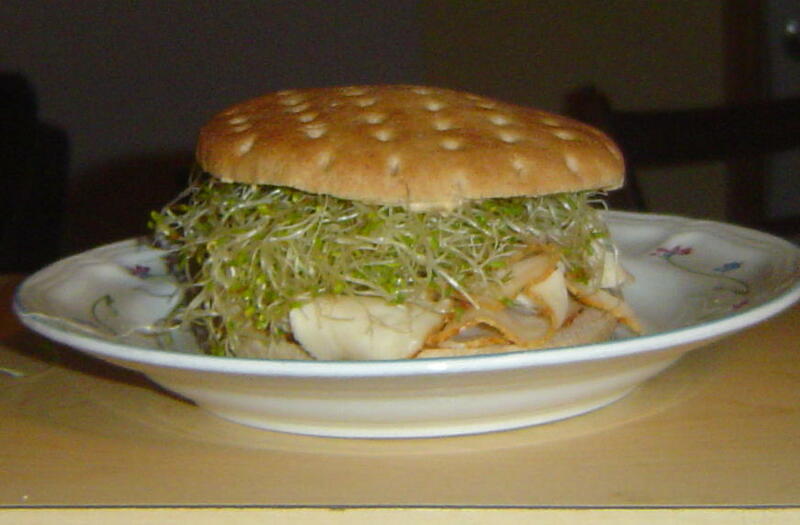 Love your sandwich, looks great! hee hee, I love to find another person who is addicted to ice cream before bed. I am a lovah of sprouts, as well! :) I love their earthiness. @ Kristine - Earthiness is such a great way to describe them. BD HATES them, he thinks they are evil for some reason. @ A la Graham - My father is the same way. He loves to say that if he dies tomorrow at least he had a bowl of ice cream. That looks like a really tasty lunch! And very satisfying. I am also really disciplined at b'fast & lunch. Dinner & all day weekend noshing are my Achille's heels!